Stevie Lake gets conked on the head so hard she's laid up in hospital. Then she starts having weird dreams about herself and her Saddle Club friends, Carole Hanson and Lisa Atwood. No big deal - until the dreams start coming true! First it's just little things. Stevie saw Phil get thrown off Teddy before it happened. She knew Starlight was going to stomp on Carole's foot. 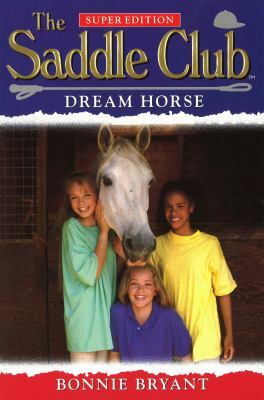 Then Carole and Lisa rely on one of Stevie's dreams to make a dream of their own come true.But when their sick friend has a scary vision, the girls aren't sure they want to know: It is just a horse in Stevie's dreams, or is it a nightmare!.